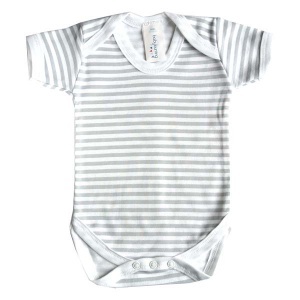 We stock a wide range of clothing, including a variety of baby bodysuits and rompers. These are perfect for wearing underneath an outfit for warmth in the winter, or as an outfit in themselves during the warm summer months. Made from 100% cotton, and in some cases organic cotton, you can be sure that they will be super soft against baby's delicate skin. Our designs have been chosen to appeal to boys and girls, and with our matching range of hats, you are sure to find the perfect newborn set. 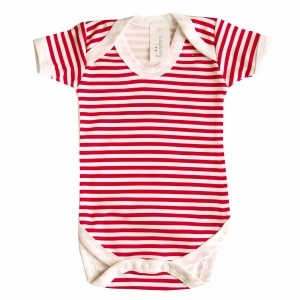 As all of our clothes are unisex, these would make them perfect to take to a baby shower. Add one to your gift hamper today!